From the Museo Carmen Funes I headed to the town of Cipoletti to visit the Museo Carlos Ameghino. This is the home of an unnamed ankylosaur collected from Argentina, and it was great to be able to check this material out for myself. Gondwanan ankylosaurs are relatively rare; in addition to this specimen, there’s Minmi from Australia, fragmentary remains from New Zealand, and Antarctopelta from Antarctica. 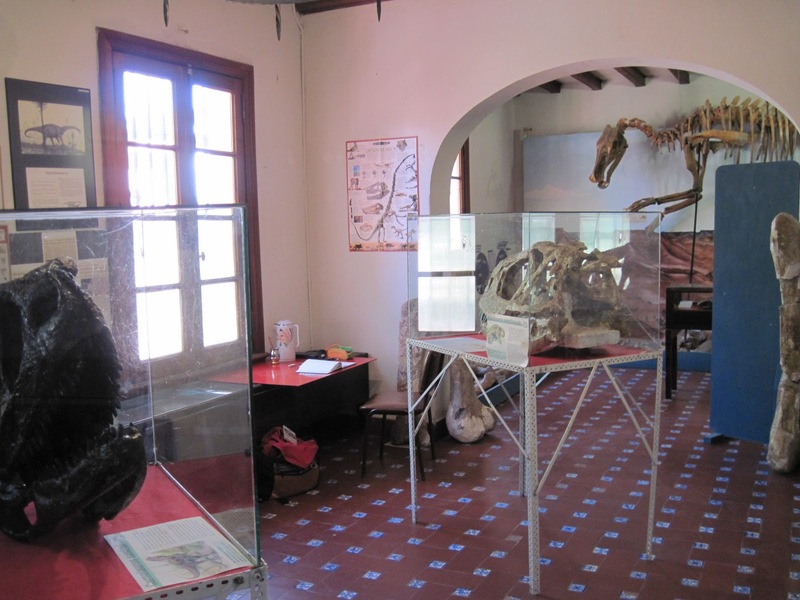 The Museo Carlos Ameghino is a neat museum in an cool old house, and houses several holotypes of interesting taxa. 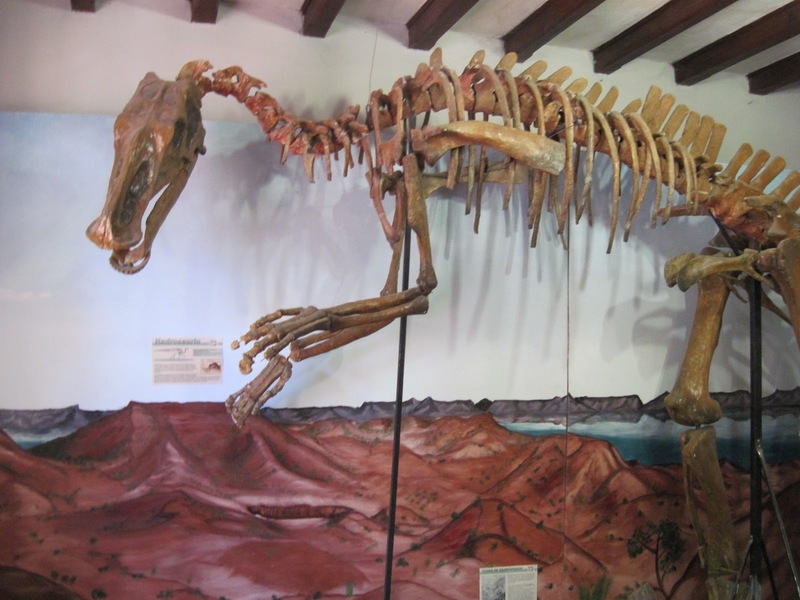 The picture above is of Kritosaurus australis, which juusst fits in the room. The abelisaurid theropods are a really interesting and weird group of theropods, with very reduced arms and strange tails. 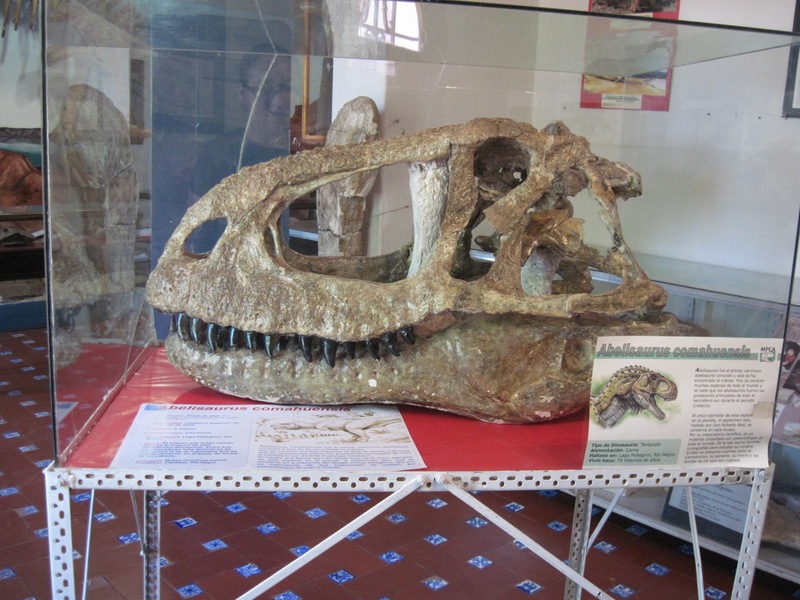 So it was great to see the skull of Abelisaurus, the namesake of the group, on display. 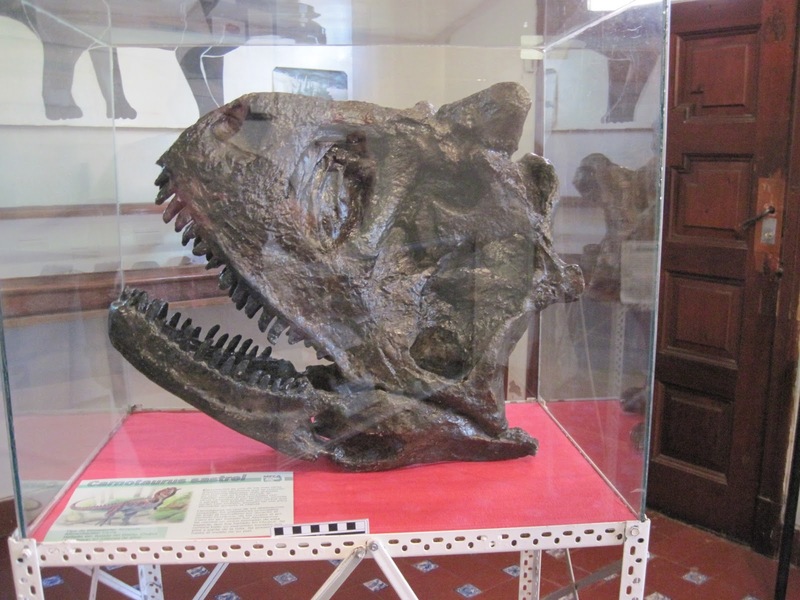 Just across from Abelisaurus is a cast of the skull of Carnotaurus, another abelisaurid theropod. Having the two skulls close together really highlights how weird Carnotaurus is, even compared to other members of its own group. The skull is so anteroposteriorly short! That’s all for Cipoletti. Next time we head to La Plata!